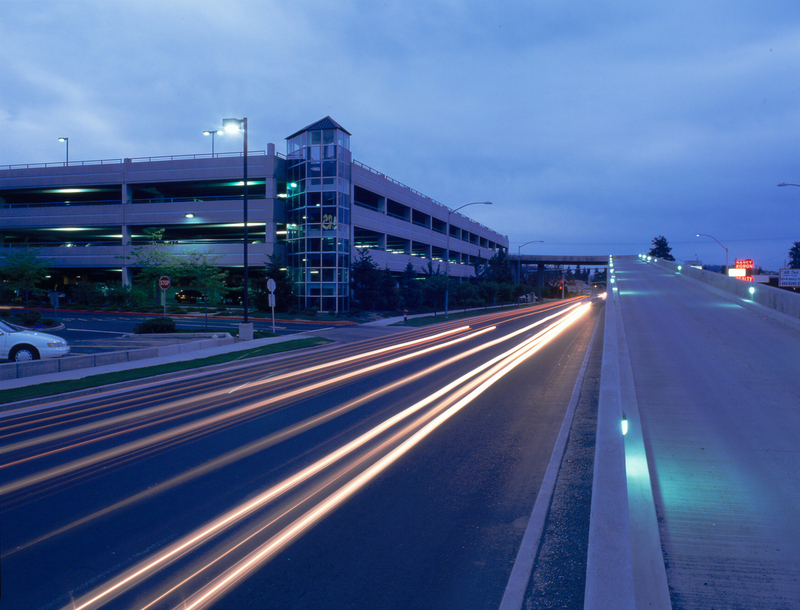 Northtown Mall Parking Structure | Cary Kopczynski & Company, Inc.
Retail parking produces high stall turnover rates. Long, unobstructed sight lines and clear circulation are necessary to meet this demand. In addition, retail parking does not generally produce revenue. Construction and operation, therefore, must be as cost-effective as possible. CKC met these needs at Northtown Mall by creating a simple, well-organized structural layout using locally precast components. Visibility and openness were maximized by carefully locating shear walls. 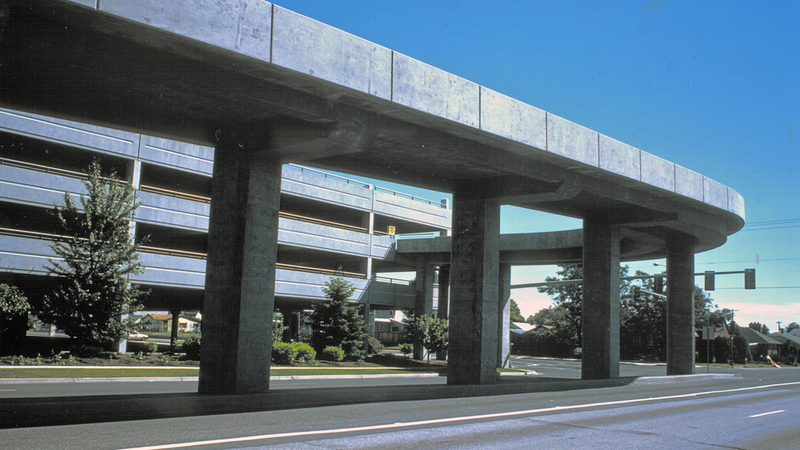 In addition, structural durability was enhanced through the use of a concrete mix that included chemical corrosion inhibitors, pozzolans, and a very low w/c ratio. The result was a structure that not only met the project’s budget and schedule goals, but also included the necessary durability features to withstand harsh eastern Washington winters.